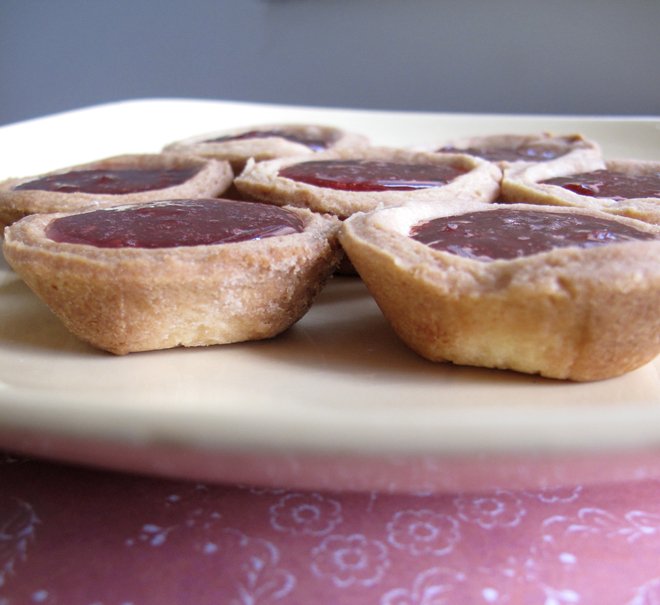 The humble jam tart is always an easy one to whip up for when people come over, an easy little dessert, or an afternoon treat. If you have some pastry already in your freezer it makes it even easier. 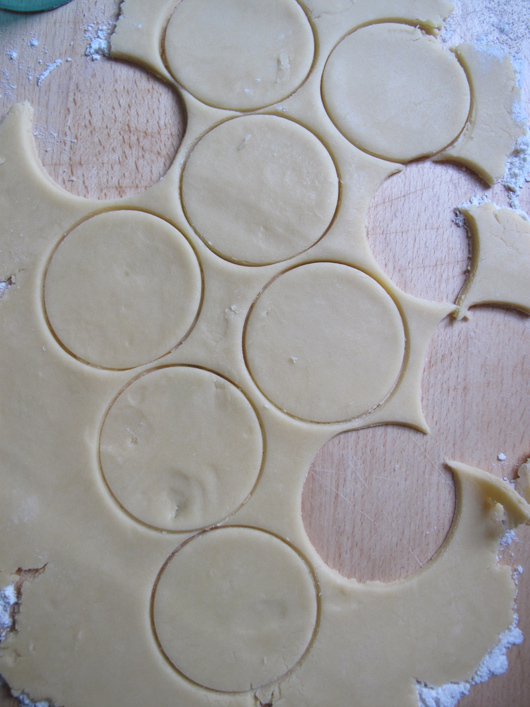 First roll out your pastry and cut out to your desired shape. (Really you can use what ever you have at hand. A big long tray can also look great. Just cut the pieces to suit then.) For a pastry recipe, you also try here. Grease tray, and place strips of baking paper down. All this does is makes it super easy to flip out when they are cooked. Rather than baking blind, I pricked the pastry with a fork and baked until golden at 180C. 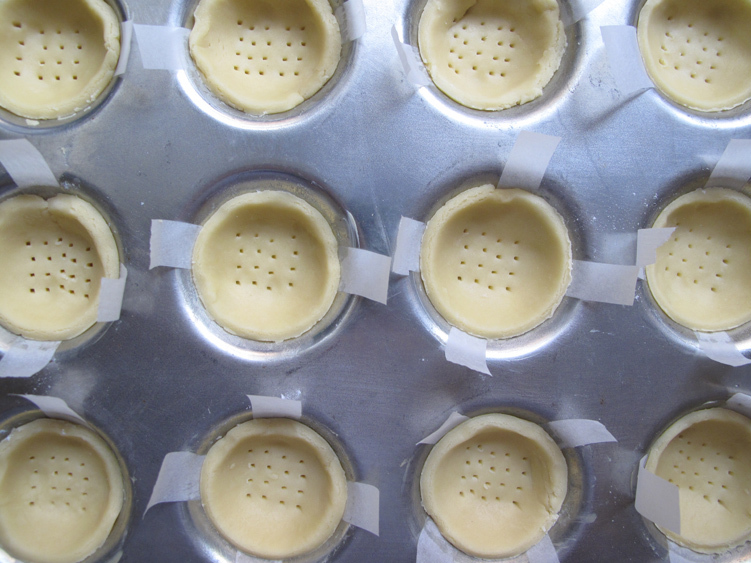 When the pastry shells are cooled, you can add ANY jam you want. It all tastes good. For these little numbers. I melted a little dark chocolate and then drizzled a small amount on the inside of the shell. This just gives a thin layer of chocolate underneath the jam mixture. Then spooned a strawberry jam mixed with freshly ground pepper. The pepper isn’t overwhelming just gives a gentle hint of… ooohh, whats that? And vowed he’d steal no more! This entry was posted in Food Glorious Food and tagged food, jam, jam tart, pastry, quick desserts, recipes by cityhippyfarmgirl. Bookmark the permalink. I’ve never thought to criss cross strips of baking paper underneath. Genius! I love the idea of biting into one of these and being assailed by the sweetness of the jam, the richness of the chocolate, the buttery pastry and the ‘huh?’ (but in an oh so good way!) of the pepper. Nice. That paper trick works a treat, especially for deeper individual pies…pop! No they didn’t last long…nor the ones I did today. Chocolate Chai Truffle Tarts. Tarts are fun. 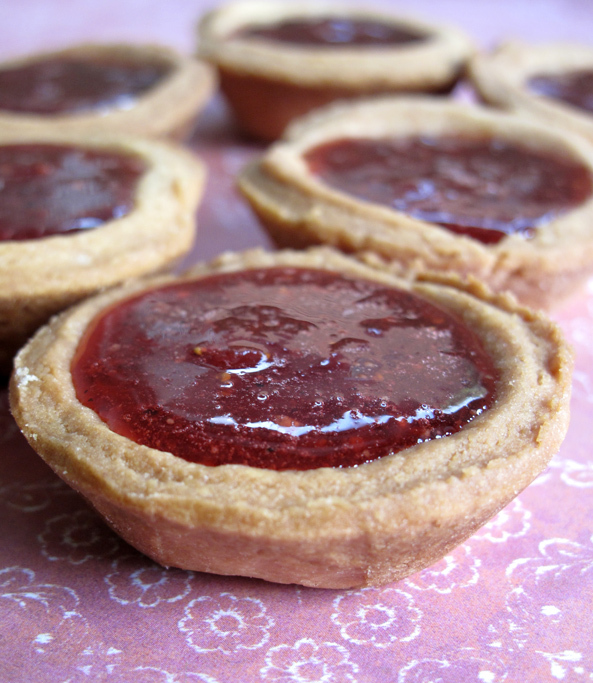 Your tarts are beautiful. I think the pepper is a genius-type addition! I’m wondering how it would be added to the crust- white pepper pastries? Your boys are blessed with an inventive and busy mother. and you, my dear, are the blessing! I am always amazed at how “perfect” your results look. Those tarts look incredible, every step of the way. You family is lucky to have so many yummy heart felt treats.